Considering I had 13 miles done by 10:15am and I was in town by 12:30, you’d think I’d have had the whole day to relax! 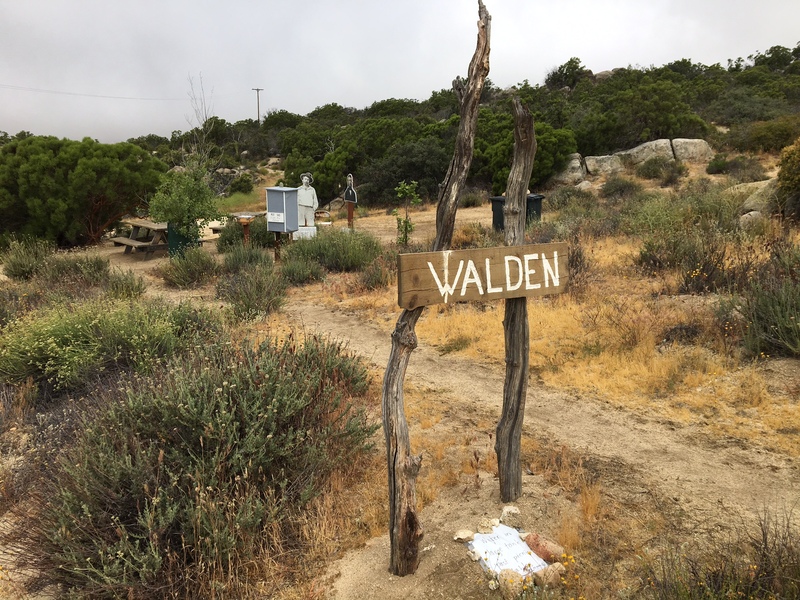 But, as usual there were a ton of things to do in town: laundry, shower, resupply, organize gear, minor repairs. 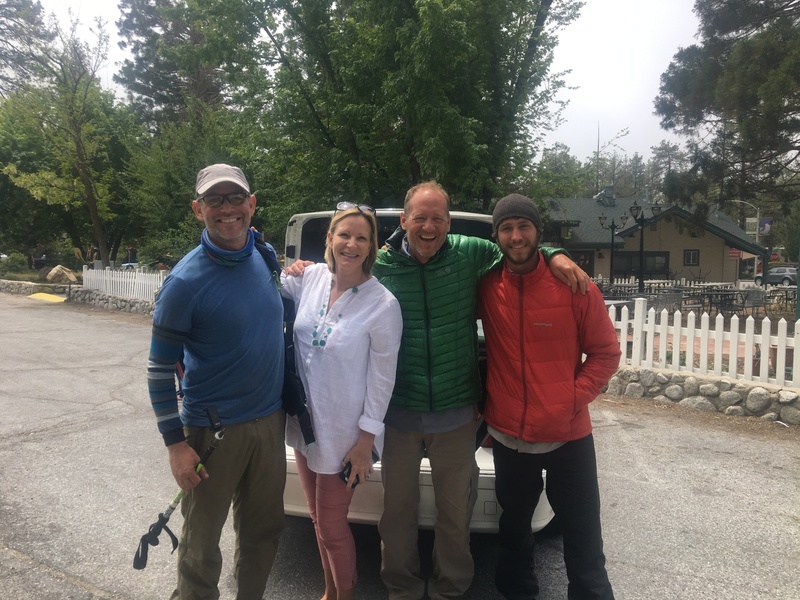 Luckily, the cute mountain town of Idyllwild, CA has everything a hiker needs within a short walk and the locals seem to lIke us sorry hikers! 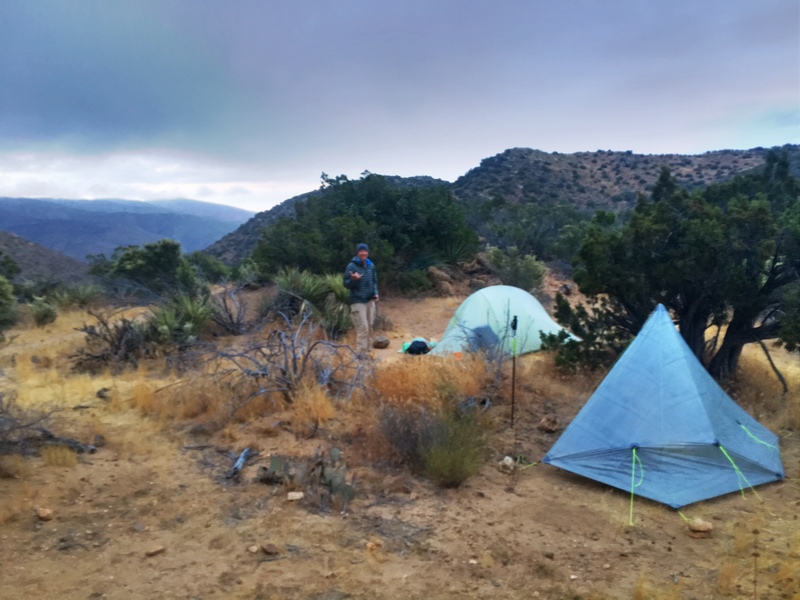 This was my campsite this morning just after sunrise. My neighbor is Dudders from Hawaii (65 years old!). 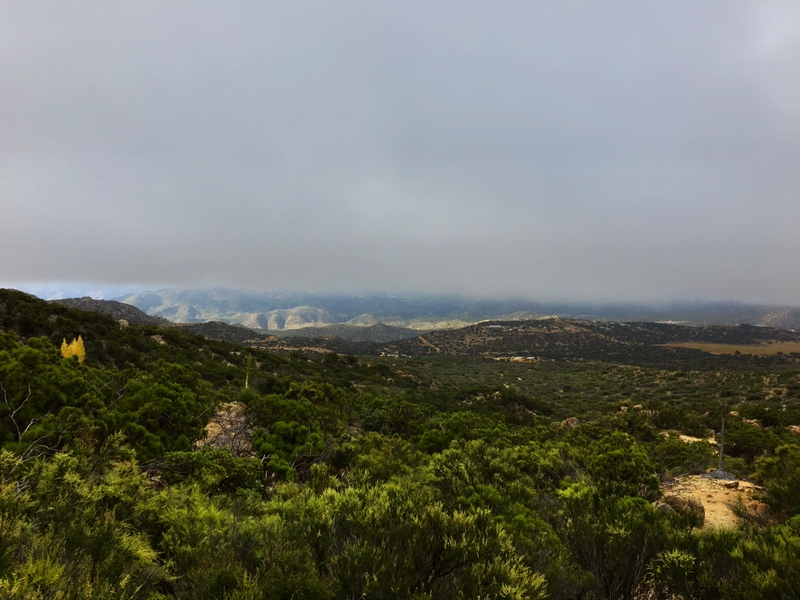 There are fairly big mountains on the horizon we hiked off of yesterday that are completely socked in by low lying clouds. 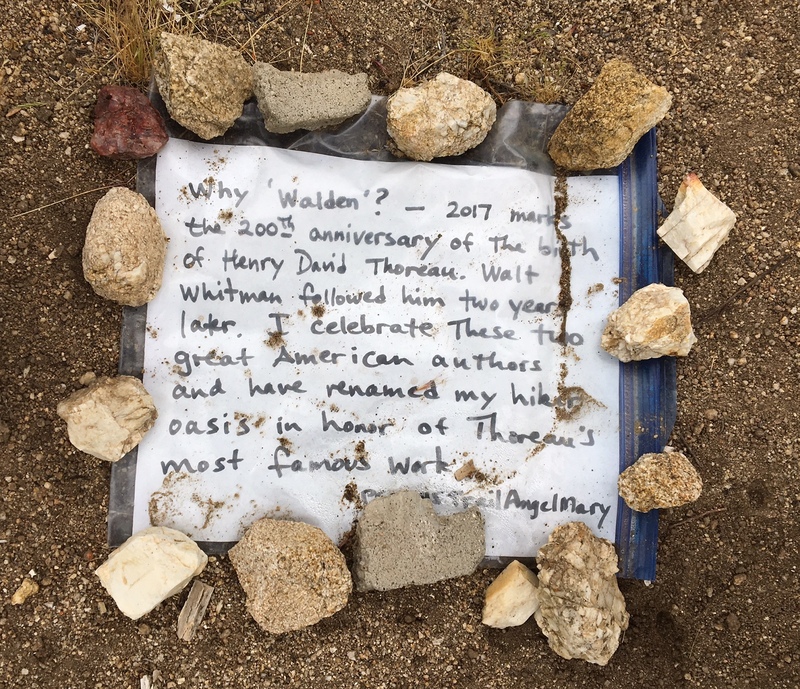 This was an interesting Trail Angel water cache. 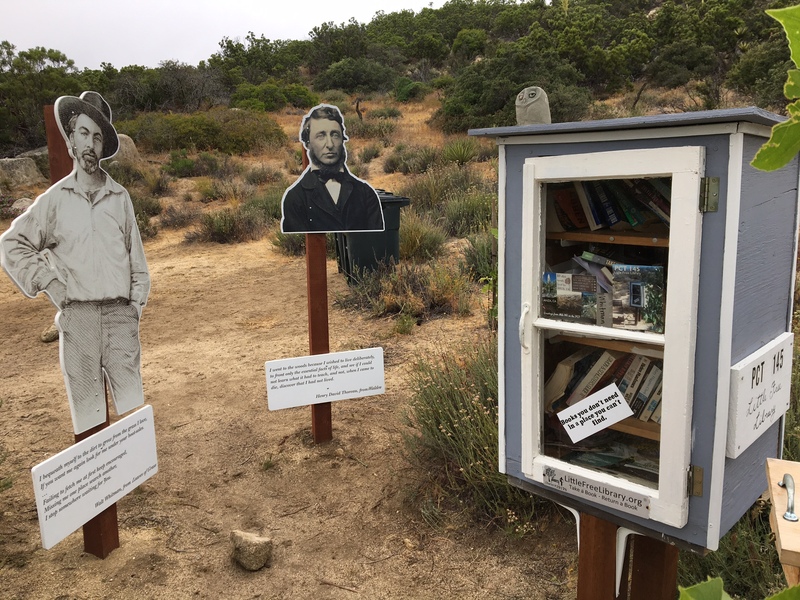 They have a Little Library me really like Thoreau. If you zoom in you read about their inspiration. 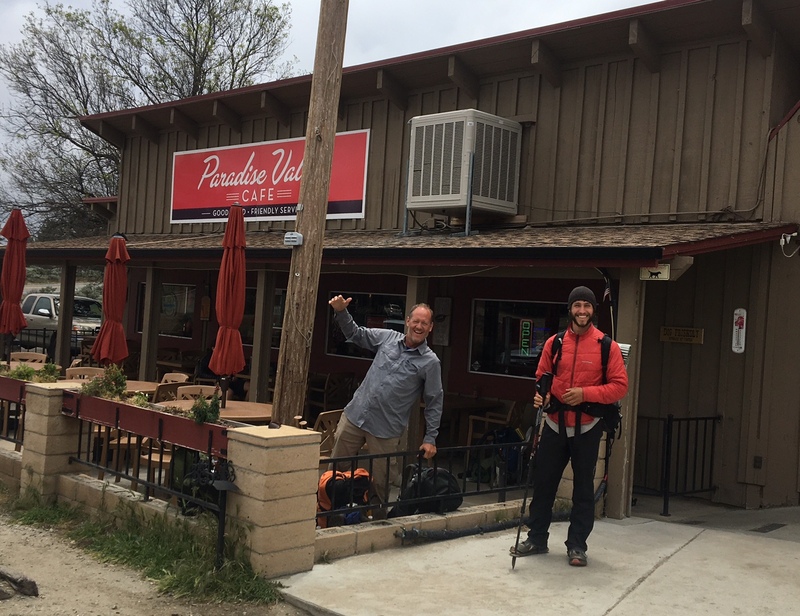 The famous Paradise Cafe just a mile down the road from where the PCT crosses. Lots of happy hikers (Jeff and Radio). We were able to quickly hitch a ride into town… thanks for the lift! The shop pooch at Nomad Ventures. Apparently, a good hiker even though his legs are two inches long. I was too busy to remember to take more pics of town…maybe tomorrow before I leave bright and early ? Fun meeting you guys! Good luck! HEY! You are making amazing progress! So fast! You are doing some big mileage. Idylwood looks awesome. 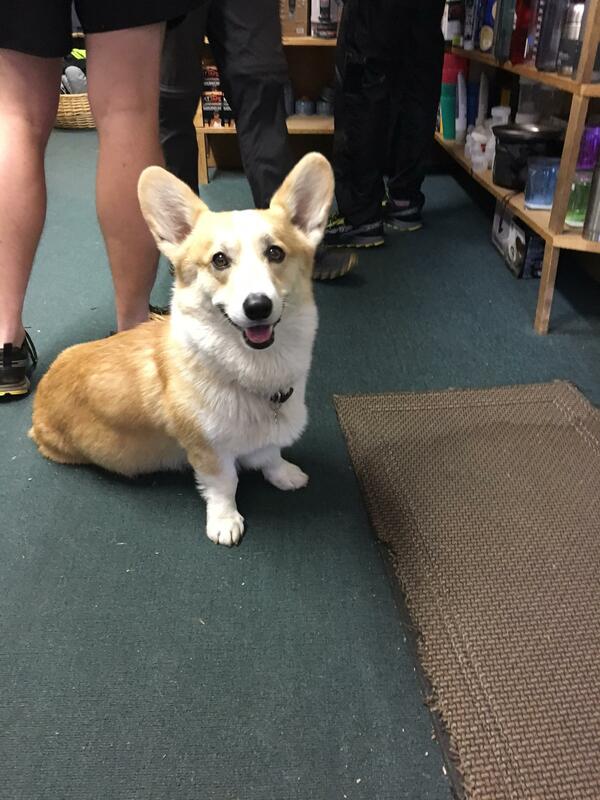 Love that Corgie! More photos of you please. COOL glasses.